I’ll just say this: If you were ever going to listen to one Jesus in HD PODCAST, please, please, please listen to this one. If it is a blessing to you, please “Share” the link to the podcast with all of your friends. Why, Oh Why, Have We Done This to You??? If a picture is worth a thousand words, how much is a compelling, truthful, tell-it-like-it-is, brutally honest video worth? As a guy who has been in church leadership for over 40 years, trust me when I say how sincerely sorry I am that so many have done so much damage to so many of you. We were wrong. Dead wrong. And for that I humbly apologize. This video says it so much better than I ever could precisely why the Safe Haven was born. PLEASE share this link with all of your friends. The message of this video needs to be heard far and wide! I had an epiphany last week. Though I must admit the circumstances are kind of embarrassing. Well, believe it or not, as I was in the midst of listening to myself even as I was giving the message, I got blessed. I received an epiphany. Naturally, Jesus presupposed that His listeners knew all too well what He meant by “the righteousness of the teachers of religious law and the Pharisees,” while we might not. The third of this trio of stories that Jesus told — directed squarely at the Pharisees each — is the most familiar of the three. We typically refer to this story — inaccurately so — as the Parable of the Prodigal Son. But it’s not a story about the prodigal son at all. Oh sure, the prodigal son (the younger son, the one who represents so many of us in this tale of two sons) is featured quite prominently in the story. But the younger son is not the focus of the portrait that Jesus so eloquently paints. The younger son is the frame of the portrait; the focus of the portrait is the older son — the son who represents the “teachers of religious law and the Pharisees.” I know this because if you read the opening verses of Luke 15, wherein this story appears, you see quite clearly that Jesus told these stories to the Pharisees about the Pharisees. Long story short, the younger son squanders his still-living father’s estate as he defiantly descends into the netherworld of lascivious living, heaping scorn and sorrow upon his family in the process. The dad in the story never gives up on his son, even as it seems the son has forsaken his family forever. Dad’s out on the front porch, scanning the horizon in the hopes that one day, maybe, perhaps, his son will come home. And come home he does. Broken, repentant, sorrowful — his son just wants to come home. And dad (the God-like-figure in the story) welcomes him home with open arms, a bear hug, a lavish display of gifts, and nary a word of rebuke. He pulls out all the stops and commences to throw his now-returned son one wingding of a party. Which is where the rendering of this story usually stops, #MissingTheWholePoint! Dad’s acceptance of the younger son causes the older son — the Pharisee-like-figure in the story, as in the people to whom Jesus told this story — to blow a gasket. He judges the younger son. He condemns the younger son. He compares his righteousness — his self-righteousness — to the younger son’s sinfulness. And that’s the point of the story. And that’s the same point Jesus made in the Sermon on the Mount. The “righteousness of the Pharisees and teachers of religious law” was a self-righteousness, a self-righteousness that Jesus abhors. You see, fact of the matter is, repentant people just want to come home. God will ALWAYS welcome them home. You will not reject a broken and repentant heart, O God (Psalm 51:17 NLT). But many so-called “Christians” will. 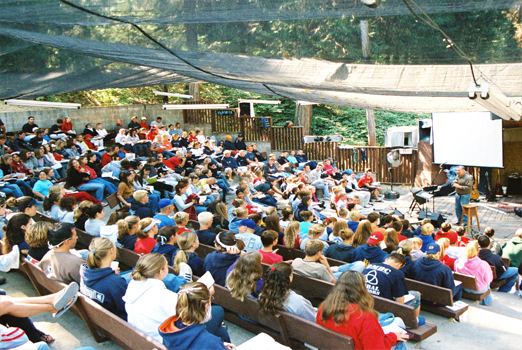 Which goes to the heart of the story, and the heart of the Sermon on the Mount. …God constantly scans the horizon ALWAYS at the ready to give us the warm and sustained embrace of His acceptance, and a heartfelt “Welcome home,” to each of us who just want to come home. Which leads me to my epiphany: That’s exactly why we started The Safe Haven. 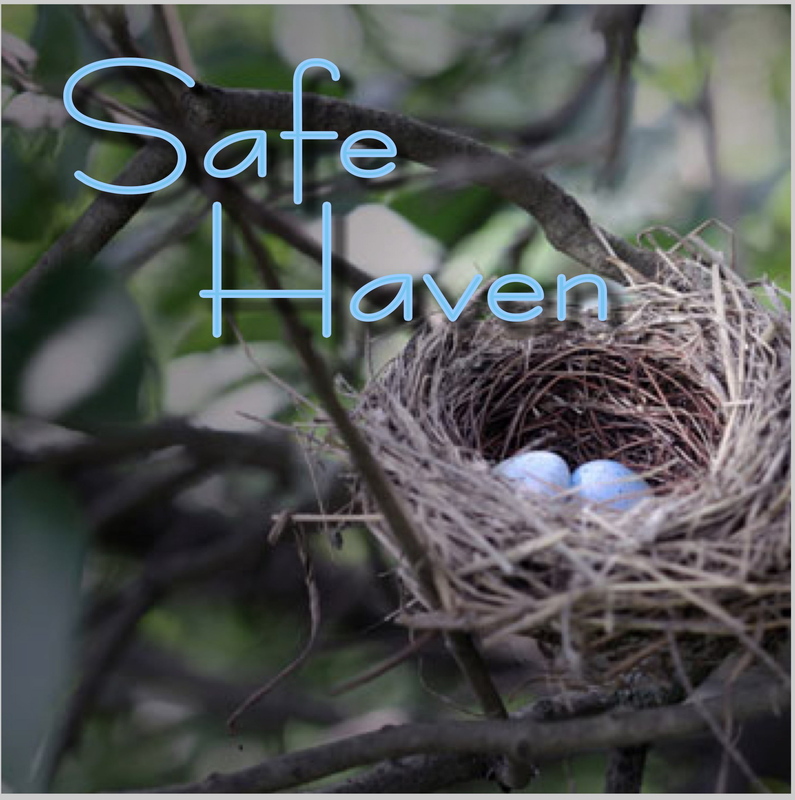 The Safe Haven is an older-son, Pharisee-free zone where anyone can come at any time. People just like us who are acutely aware of our imperfections, who are broken and repentant, who just want to come home. Home to God. Home to His loving embrace. Home to His never-condemning, always-welcoming, unconditional acceptance. A place where people can come home no matter how distant they have traveled, how far they have fallen, or how epically they think they have failed. A family of the flawed. A place where anybody can come home anytime, from anywhere — NO QUESTIONS ASKED! People ask me weekly, what is this Safe Haven thing you’ve started. And now, thanks to my mid-sermon epiphany, I finally know how to answer them. The Safe Haven: A Place to Come Home.